Designed for street use, a supermoto-style all-electric motorcycle called the Zero S will do 60 MPH, go for 60 miles, and charges up in only 4 hours. Nice. In case you haven't been paying attention to the motorcycle world lately, choppers and rocket bikes are out, and supermoto's and café bikes are in, even more than that, electric motorcycles are coming into vogue and Zero Motorcycles make some of the best. 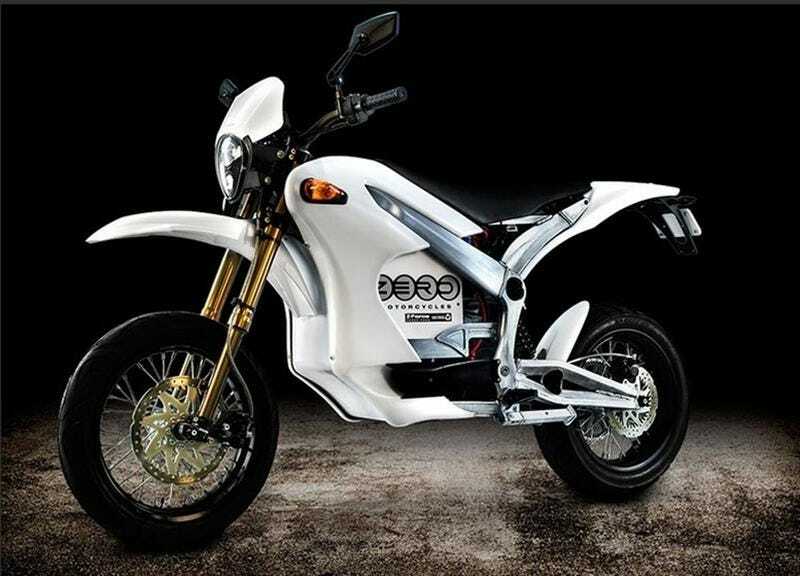 The new Zero S is the street version of an all-electric dirt bike we tested earlier this year called the Zero X. This new bike ditches the dirt and goes for the lightweight, aggressive street carving segment of supermoto's, or motard.